College was always important to me as a kid. I wasn’t obssessed like some Ivy League families, but I knew I had to go. I was really pushing for Cornell, but didn’t rock my SATs enough to get in. Which in the end, I’m quite happy, because I ended up going to SUNY Binghamton where I met my future wife. Anyways, places like Harvard or MIT are awesome and who wouldn’t be proud to go there? But it’s not like I lost sleep ever dreaming about those schools. 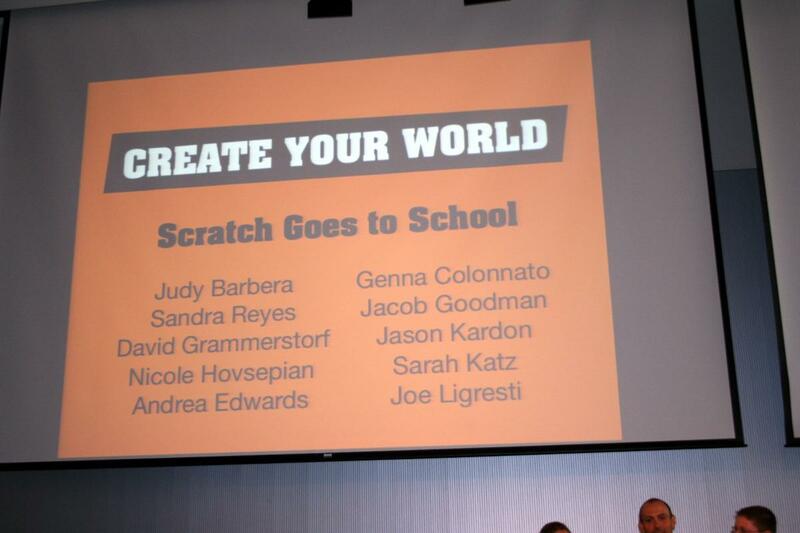 This past weekend, however, I had the honor and the privilege of attending a Scratch Conference at MIT in Cambridge, Massachusetts. 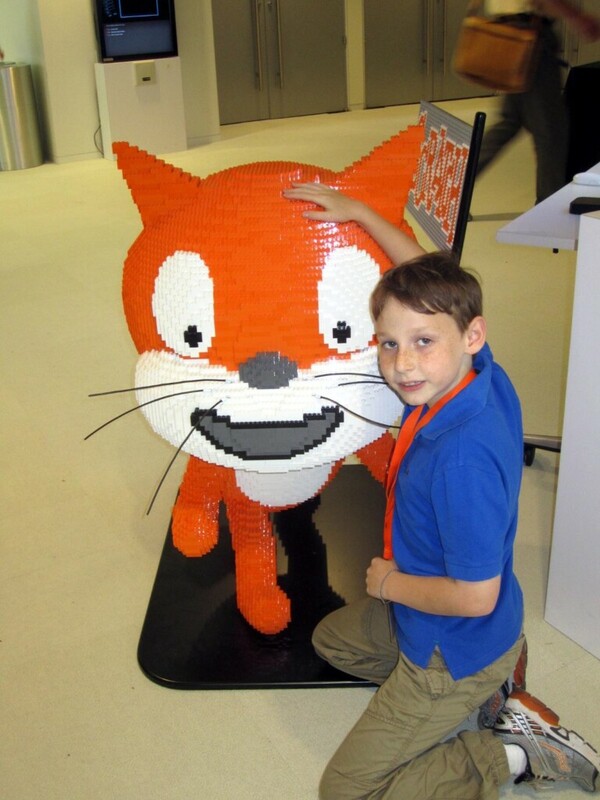 Scratch is an amazing educational software that lets kids program awesome animated projects. The conference brings educators, researchers, and developers together to share tips, updates, and experiences with the new software. So why was I there? I’m not a teacher or researcher or developer. Nope. But I am a parent. 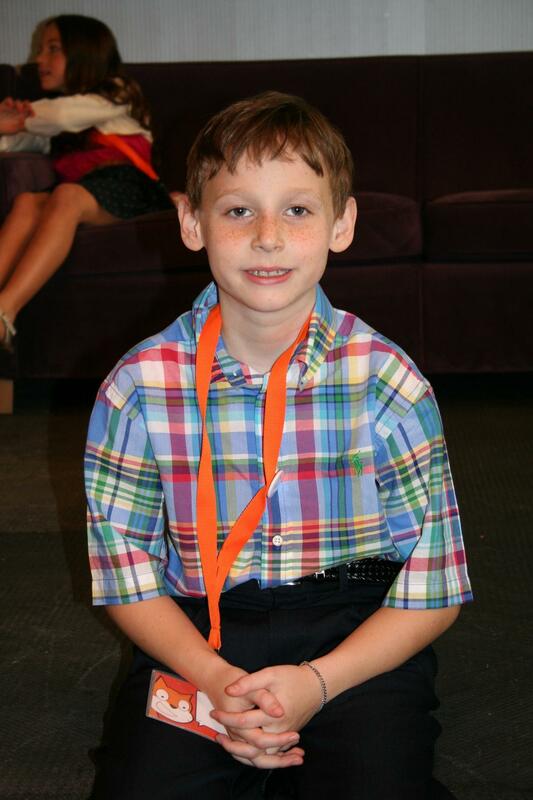 And my 9-year-old son Jason was a keynote speaker at the event on Saturday. I’m pretty sure this qualifies for a mega proud poppa moment. See, Jason’s 3rd Grade class at Viola Elementary used Scratch this year and really tied it into the overall educational process. It wasn’t just a fun little time-killer. The program and its lessons were completely integrated into the overall curriculum, teaching kids how to problem solve, collaborate with others, and attack problems from many different angles. 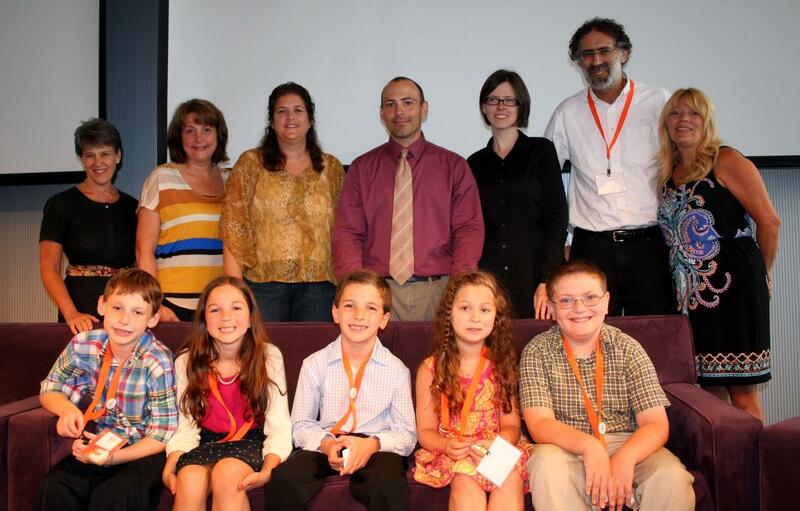 The developers of the software (which was created at MIT), were so impressed by this approach that they invited a few teachers and five students from the entire district to come to MIT, show off their Scratch projects, and talk about the entire process. My wife and I were on cloud nine for weeks anticipating this day. Jason was, obviously, really nervous. But when the time came, he did an incredibly amazing job. 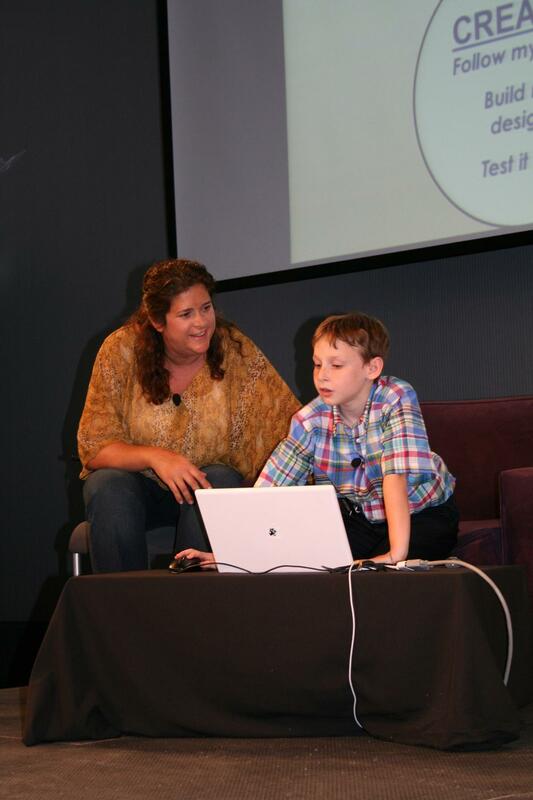 In front of a crowd of roughly 400 attendees, he proudly showed off his Scratch project, and discussed the process with his teacher Mrs. Hovsepian. 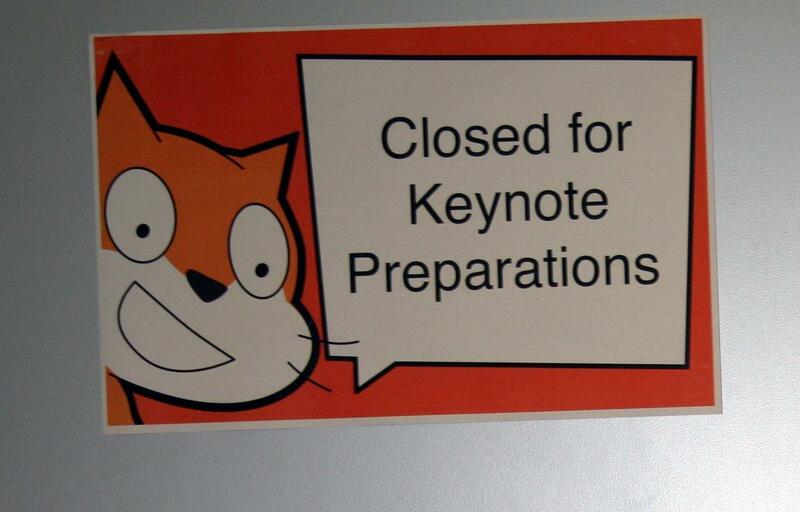 The entire keynote panel lasted a little over an hour, and all the kids did a bang-up job. My favorite sign of the day! The audience and all the key MIT personell involved in the weekend were equally as impressed with Jason and his classmates. And it was honestly such a pleasure to see how much fun they had learning and seeing how students were using the program they created. It’s one thing to like your job, but it’s an entirely different thing when you get to interact and observe people who use your product and love it. Hats off to the entire MIT/Scratch group for not just making a great program and hosting a fabulous conference, but for also treating our kids so wonderfully over the entire weekend. After the panel was over, one of the Scratch creators Mitchel Resnick talked to the kids a bit and answered any questions they had. Jason, of course, asked the obvious one, “Did you make a million dollars with Scratch?” Sadly, the answer was no, particularly since the program is offered for free. I’m so proud of Jason for doing an amazing job with his project (which was an animated tutorial explaining “All About Mario”), but even more so for getting up there in front of that crowd and giving a wonderful presentation! Hopefully this is just the first of many steps towards his career goal of becoming a video game maker. Jason and Scratch made out of Legos. Jason discussing why he chose to do an animated “All About Mario” project. Jason and his teacher Mrs. Hovsepian, showing off his Scratch project. 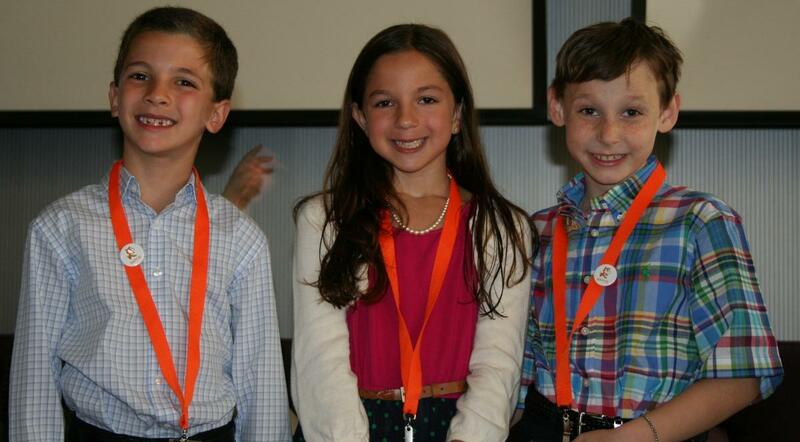 The three awesome presenters from Viola! Ryan was all smiles as he watched his big brother present. Plus, he loved having his own name tag. Yes, indeed. 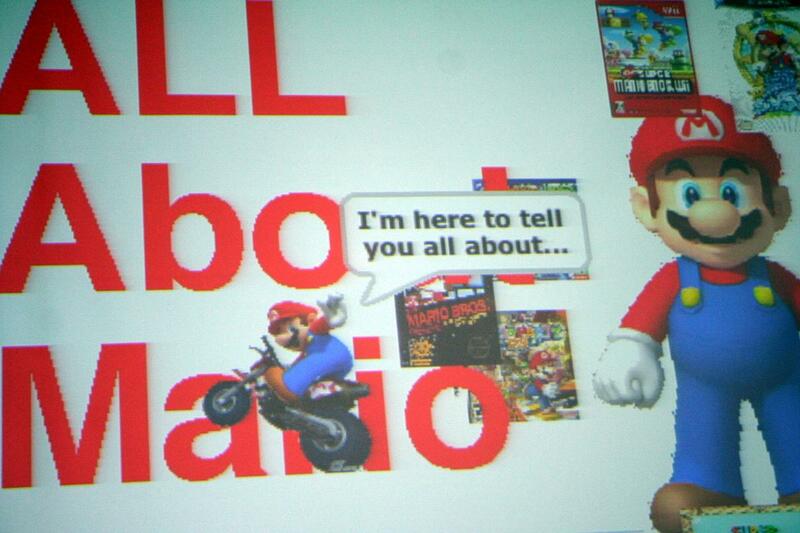 Jason’s project was all about Mario. My little guy, the future video game maker. If you haven’t checked out Scratch yet, I highly recommend it. I’m so impressed with the programming skills Jason’s learned already at this age, I have no doubt he’ll be working for Nintendo when he’s older! you should be very proud. He is an amazing young man already! Wow. Jason, you are going to be famous. I can’t wait to play one of your game creations. You rock and your family is soooooo proud of you. Jason has made me a very proud aunt! So impressive! Such a pleasure to read this. So proud of all the students who shared! It was a great experience, one that I will never forget. Thank you – to you and Mrs. Kardon for all your support, and being on board 100%. Thank you for being the most incredible teacher! Jason’s face lit up when we showed him Andrew’s blog with your comment!! We will miss you in 4th grade. 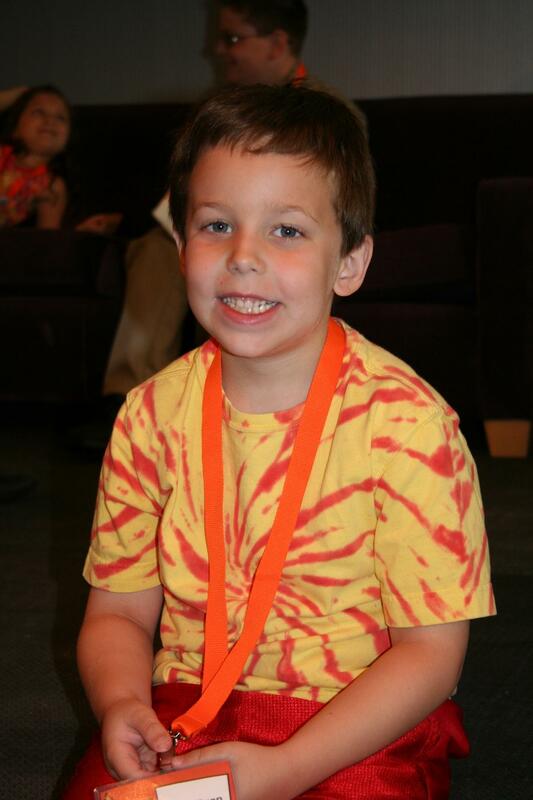 And thank you for pushing Jason all year, particularly with his love of Scratch! This is what school should be like. Teaching kids the possibilities that lie within them. Congrats, Proud Papa!! I saw your son present. 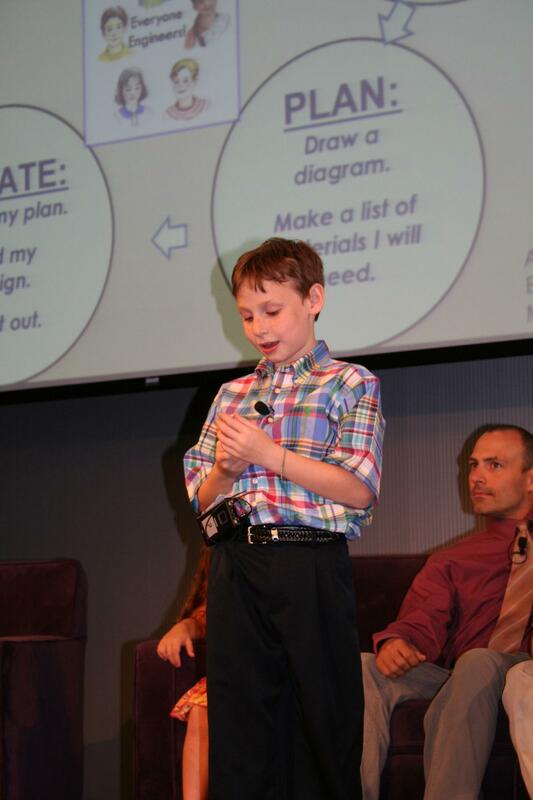 He had a fabulous project and did a great job presenting in front of a huge room of adults and other children. You have every right to be proud! Hi, Melissa. Thank you so much! That’s FANTASTIC!!! Congratulations to him (and your family)! Keep up the great work, Jason! How exciting and special for all of you! Congrats!